“The only man I envy is the man who has not yet been to Africa – for he has so much to look forward to” – Richard Mullin. Africa is a large and growing continent of 54 countries. As every sector in the continent demands a conscious plan and effort to grow, so does our forestry students across Africa, desiring a fulfilling education now paired with a promising future. 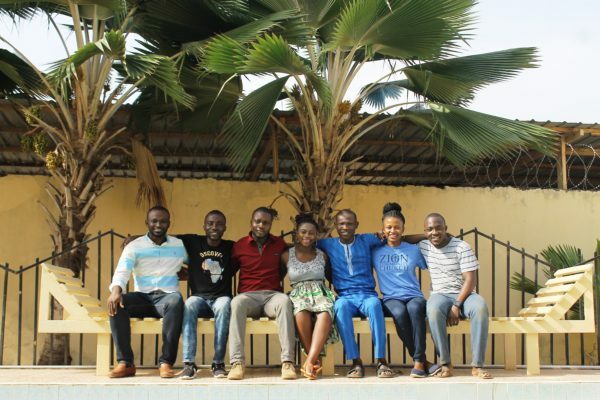 To this end, the inaugural Africa Strategic Meeting of International Forestry Students (IFSA) was held in Accra, Ghana between February 22nd – 26th, 2019. Initiating the meeting on a strong note, Northern African Regional Representative – Sarah Korang Sansa (Ghana), opened the meeting with purpose, welcoming all participants whilst emphasizing the necessity of such a crucial meeting aimed at improving the work of IFSA within the region and the continent as a whole. On an historical perspective, Julius Adewopo from Federal University of Technology Akure, Nigeria was the person who brought IFSA to Nigeria after contacting the IFSA Secretariat in Germany. The Northern Africa Regional Meeting was organised 6 times between 2012 and 2018, being hosted by five Local Committees (LC’s) in Ghana and Nigeria. Now, IFSA LC’s membership stands at 11 in only three countries, with potentially 51 other institutions, who offer forestry programmes, making their respective student associations eligible to become IFSA members in Nigeria alone and lots more across other countries. We strongly believed in the ideals of “African solutions to African problems” slogan as coined by an eminent political economist, George Ayittey. Through various brainstorming and thinking outside the box sessions, we identified, some of the unique challenges facing IFSA within the region and their preferred solutions. For example, forestry education remains unattractive in the region as many students do not choose to study forestry willingly; poor coverage and understanding of IFSA by Universities and among students; inability of students to take up opportunities in the wider IFSA network and contribute to policy dialogues; non-existence of partnerships with Africa based and operating organisations; inactiveness of some LC’s and paucity of funds to organise or support students engaging events are some of the problems that were identified during the meeting. We proposed the establishment of an Africa Focal Point (to promote effective synergy between the Northern and Southern Africa Region, tap into regional partnerships and opportunities), Africa Language Commissioner (to break the language barrier between English and French speaking countries in Africa) and IFSA SAN Africa Focal Point Offices within the IFSA network to tap into regional partnerships and opportunities and integration of Alumni to support the growth and development of IFSA work in Africa. A 5year strategy has been drafted and is undergoing further consultations are some of the output of the meeting. It was attended by IFSA officials in the region, namely – Alex Bimbo Onatunji (NA Regional representative) – Nigeria; Ama Acheampomaa Asiedu (Focal person for LC NARSA) – Ghana; Bismark Kojo Seyram Dzineku (Focal Point Major Group Children and Youth to the United Nations Forum on Forests) – Ghana; David Ayoola Shonowo (LO IUFRO) – Nigeria; Samuel Agyemang Tutu (Focal point for communication, Joint IUFRO-IFSA task force on forest education) – Ghana; Sarah Korang Sansa (NA Regional representative) – Ghana and Uyi Asemota (IFSA Consulting member) – Nigeria. Collen Bio (SA Regional representative), South Africa joined via a Video call. In summary, we acknowledge that for IFSA work to continue progressing in the region and the Africa continent at large, we must “go together” through continued engagement of forestry students and alumni, LC’s President, IFSA Board & Council, Universities, Private and Public institutions among other stakeholders to create a generation of passionate and fulfilled foresters. The article was written by Alex Bimbo Onatunji (Nigeria), one of the Northern Africa Regional Representative of IFSA on behalf of the meeting participants. He can be reached via ([email protected]).